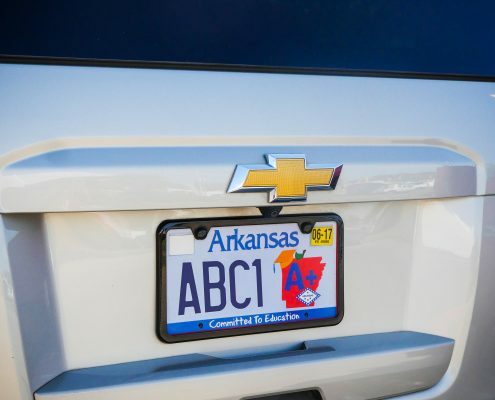 Each year, the Arkansas STEM Coalition partners with the Arkansas Committed to Education Foundation to encourage Arkansas citizens to purchase an education themed specialty license plate. By choosing to purchase a specialty license plate when they register their car tags, Arkansas citizens provide science equipment and training to students and teachers across the state. Since 2012, more than $600,000 has been granted for funding science equipment for students in grades 3-6 and support for teachers who instruct these students. 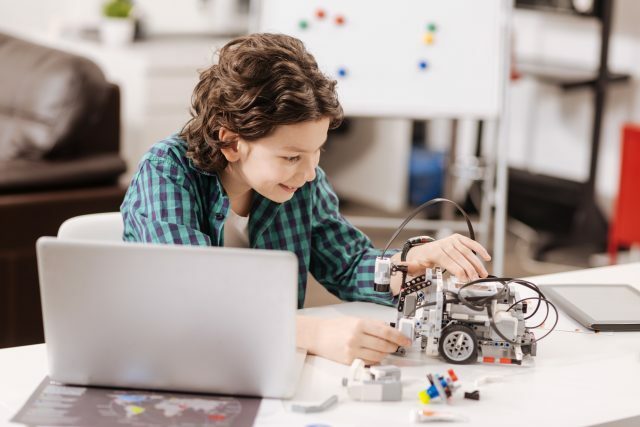 The AR STEM Coalition administers the funds through the 12 Arkansas STEM Centers for schools that request grants to purchase science equipment. 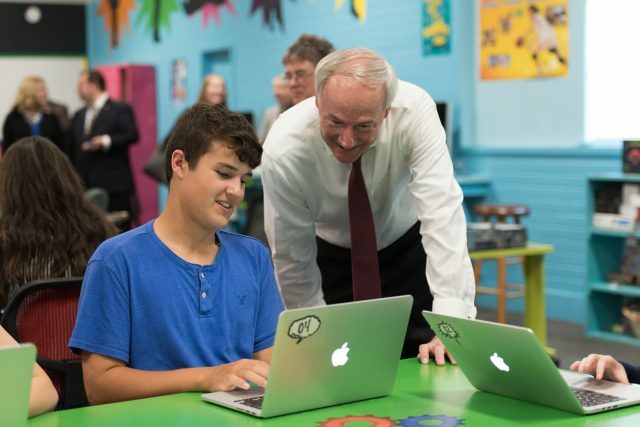 To prepare Arkansas students for careers in computer science technology, Governor Asa Hutchinson has led an initiative to make courses and corresponding teacher training available to schools across the state. The vision of the initiative, as described by the Arkansas Department of Education, is that all Arkansas K-12 students actively engaging in a superior and appropriate computer science education. The overall mission is to facilitate Arkansas’s transition to become and remain a national leader in technology education and careers. The Arkansas STEM Coalition received a generous financial donation from AT&T to purchase laptops for loan to schools and non-profits. The goal of this project is to offer Arkansas students in grades 4-12 the opportunity to strengthen coding and computer science skills by loaning up to 70 laptops for such purposes. Girls in STEM Conference is packed with hands-on workshops led by women in science, technology, engineering, and math professions. Workshops are organized by developmental grade level (7th-12th). FIRST® Robotics Competitions are for students in grades 9-12. The mission of FIRST is to inspire young people to be science and technology leaders, by engaging them in exciting Mentor-based programs that build science, engineering, and technology skills, that inspire innovation, and that foster well-rounded life capabilities including self-confidence, communication, and leadership. The purpose of these STEM Girls Leadership Conferences aims to improve opportunities and services to Arkansas female students, particularly in grades 10-14 (high school sophomores to collegiate sophomores). 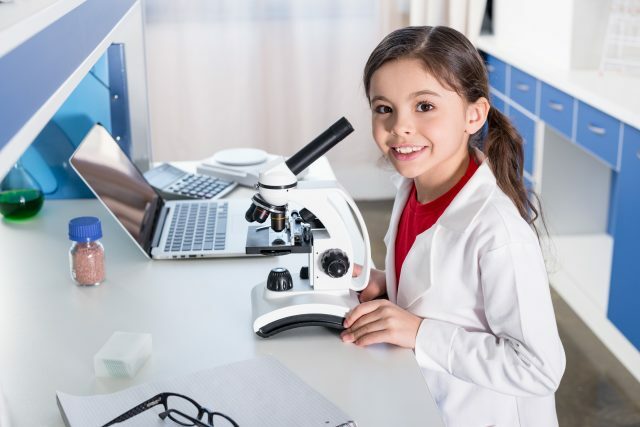 Additionally, the conferences will promote interest in science, technology, engineering and mathematics and ultimately reduce the stereotype that these fields are mainly for males. This program hopes to encourage young females to pursue collegiate careers in STEM related occupations.